The Association of Freeskiing Professionals (AFP), the voice of freeskiing, has calculated it’s final world rankings for men’s and women’s halfpipe, slopestyle. big air and overall winners for the 2008-09 season. The AFP ranking system was developed to track men’s and women’s competition results of more than 18 events held on four continents in slopestyle, halfpipe and big air in order to name true global world champions. The AFP has developed an event ranking system that creates balance between the different formats and levels of events held throughout the world, separating them into four categories, Bronze, Silver, Gold and Platinum. Events are ranked based on course construction, prize money, media exposure and level of athlete participation and receive maximum point values based on this criteria. The top four individual results for halfpipe and top 3 results for slopestyle and big air are used to determine athlete rankings and discipline champions. 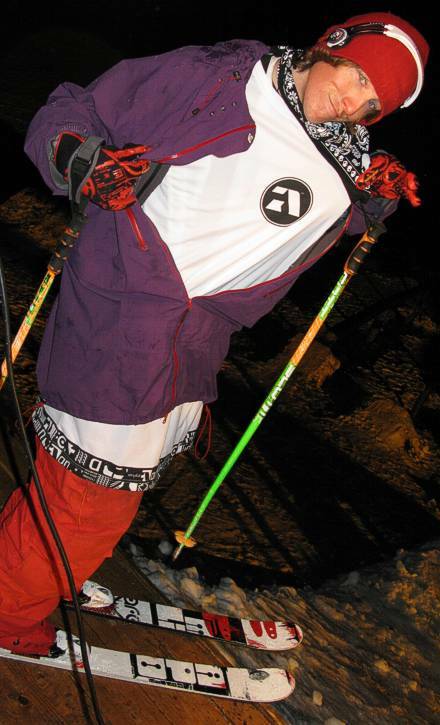 In men’s slopestyle, relative newcomer Tom Wallisch, 21, originally from Pittsburgh but now resides in Park City, UT , staged a late season surge to take the AFP World Champion Slopestyle title for 2008-09. With wins at Dew Tour #3 in Northstar and at the Dumont Cup at Sunday River, ME, along with a 2nd place at the European Open in Laax, Switzerland, Wallisch compiled 2,040 points in his three qualifying results and made his claim to surge past 2nd place finisher Henrik Harlaut, 17 from Are, Sweden. Harlaut had wins at the Aspen and European Opens and two top five finishes at Dew Tour to garner 1,890 points. Sammy Carlson, 20 of Tigard, Oregon came in third with a 2nd place at X-Games and two top 4 finishes at Dew Tour with a total of 1,700 points.